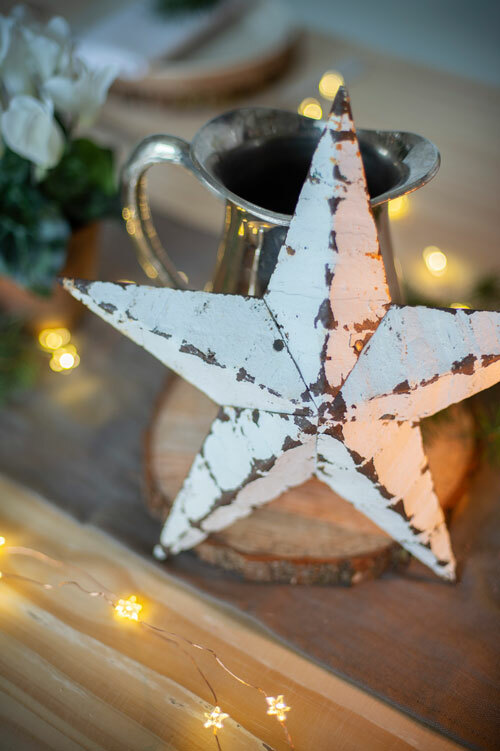 Create a beautifully memorable, modern rustic Christmas setting with our easy 3 step guide to arranging your Christmas table Jim Lawrence style. Orchestrating the perfect Christmassy ambiance is a breeze when you have the right tools. 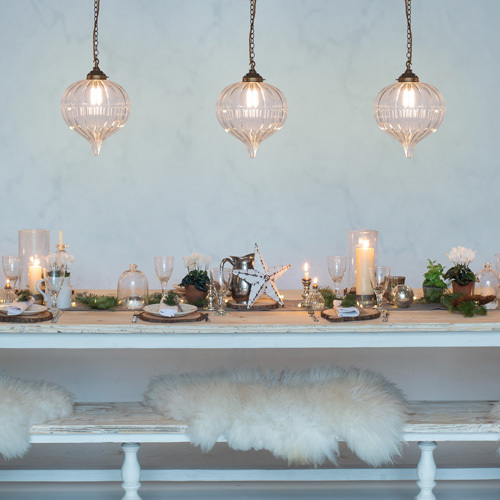 Correctly placed, candles and delicate fairy lights bring a magical twinkling light to your table, softly illuminating the decor without over-lighting the space. You want a relaxed atmosphere, not a blindingly bright one! 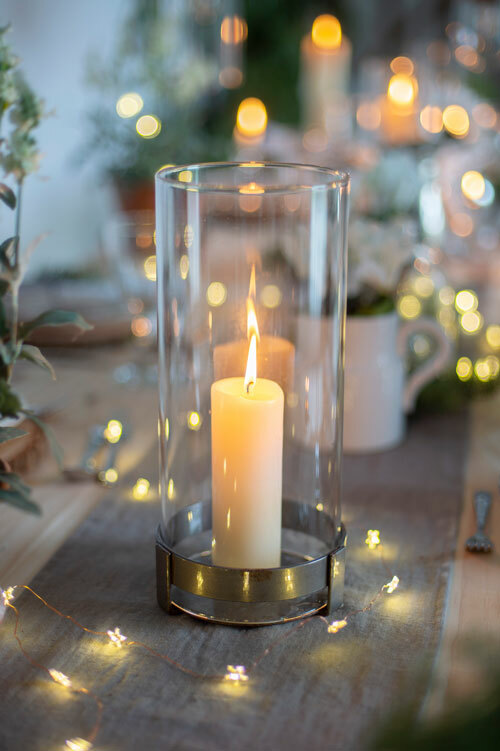 Our Penfold Hurricane Lamp adds height, light and prevents any wax dripping onto your table cloth or runners. Fairy lights trailed across the table woven around bowls and plates adds an extra layer of warm light to show off your delicious meal. 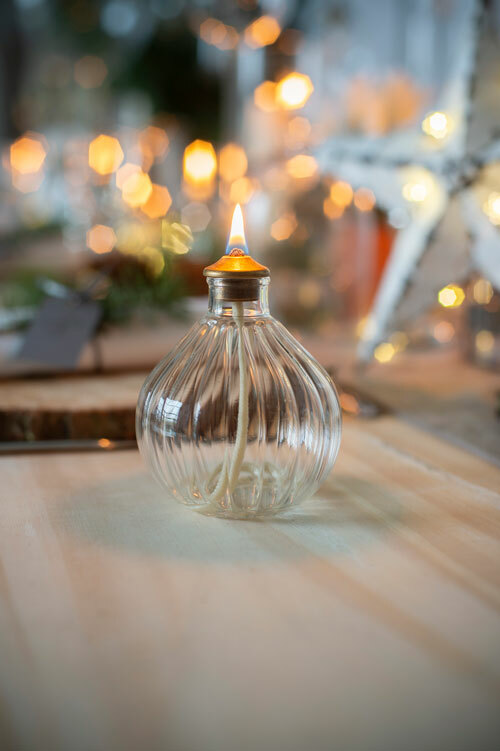 They say the best presents come in the smallest parcels and our Samworth Oil Lamp is no exception. The perfect gift and addition to your Christmas display, the Samworth is a beautifully finished and functional oil lamp that will bring a classically elegant glow to the room. For a considered but not overdone look, it’s important to tap into display items that add something of meaning to the table, not just piling things up for the sake of it. Think about what you want to say to your guests with the setting, and achieve a cohesive look instead of a mismatched one. What is your motif? Here we’ve used a traditional star theme and carried this throughout. Height and scale is key, creating different points of interest, but the same theme runs throughout: notice our polished finish paired with some time-worn, rustic pieces. There are some beautiful bursts of natural green foliage to freshen up an otherwise grey and white display. Pick your 3 main colours and stick by them! Personalising your Christmas is vital. We all love gifts that are truly thought through, so why should the big event of Christmas dinner be any different? Hand written place setting cards bring a small but delightful moment of joy when everyone arrives. A little goes a long way! 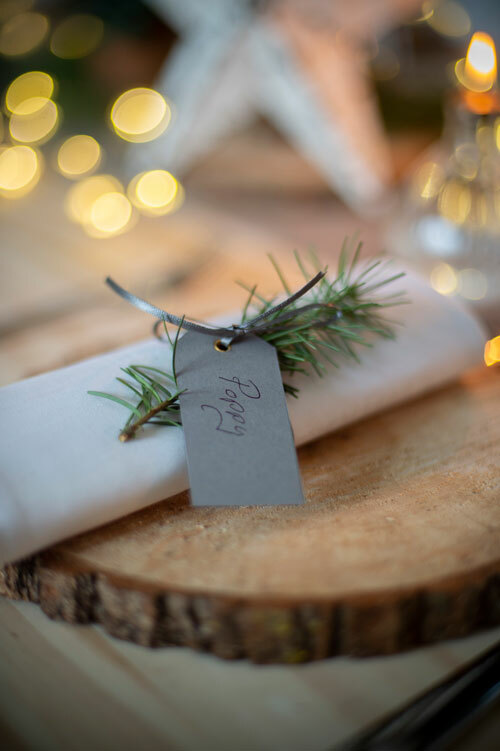 Pair your place settings with hand-picked sprigs of rosemary or pine for extra festive detail sure to make your friends and family smile. To truly embody our rustic theme, unique wooden place mats bring the outside in, transforming your dining room into a truly gorgeous grotto. Like what you see? Shop our Gift Guide here. Don’t forget to tag us in your festive Jim Lawrence Instagram posts, you can find us @JimLawrenceMade. Happy holidays!